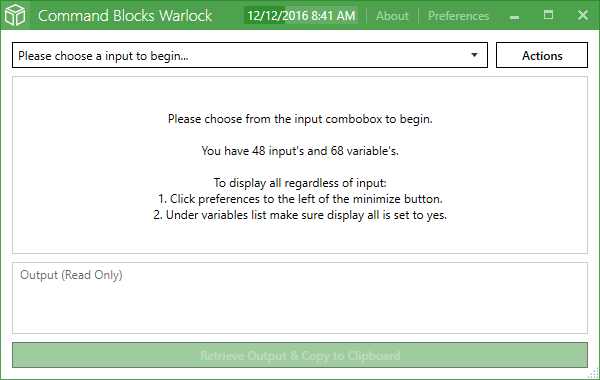 Allows you to quickly store commonly used minecraft command block commands for easy find/replace of certain certain fields when you need to create a new command. While you can use this program with Minecraft 1.13 Aquatic Update...the command inputs that are included by default currently are for the previous versions. You can delete those and create your own however currently. As time permits I am working on getting some updated commands for the aquatic update fixed up to include.